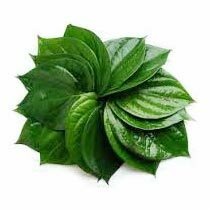 Known for its invigorating properties, our Betel Leaf Essential Oil is used as a deodorant component. Also, our Betel Leaf Essential Oil has numerous health, healing and curative properties. The oil is prepared under the most hygienic conditions and known for its purity. Moreover, it is accredited for its carminative, digestive, simulative and aphrodisiac properties. We offer Essential Oil in bulk quantities and at inexpensive rates.